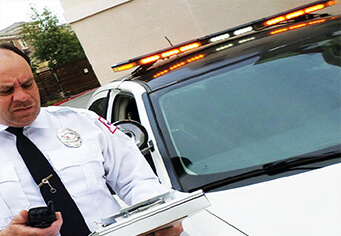 Citiguard provides extensive, state-of-the-art, executive protection and bodyguard services. Our security services, available to both business and personal travelers, is always customizable to meet individual and corporate-wide needs. Citiguard’s executive protection professionals will drive you anywhere in the US from point A to point B, in a luxury executive class vehicle with an armed executive protection driver. You can enjoy the safety and control of being professionally and safely driven to your destination without being exposed to public or governmental influences, baggage restrictions, etc. Don’t entrust your life to other “Close Protection/Bodyguard” firms who only offer you inarticulate, out of shape police officer “imitators” and glorified security guards, or out of shape, poorly trained journeymen who are poorly organized and woefully inadequate. Citiguard’s elite class executive protection professionals are comprised of world class executive protection professionals with world class experience and we are distinguished by our armed discreet executive protection. Citiguard employs impeccable threat assessments, site security surveys, close armed protection and itinerary research and advance preparations. We leave no stone unturned, no risk unattended. Our executive protection professionals are the most discreet and the most effective in the industry. International organizations and companies have assets and employees across the globe. Citiguard takes a holistic approach to travel management and security, covering all the related aspects in routine and emergencies. Whatever your security and/or protection needs, Citiguard’s Executive Protection Division is ready and waiting to serve you. It is just one more reason why we at Citiguard “set the bar” in Executive Travel. Contact Citiguard to set up your free executive protection services consultation today to discuss protecting yourself with one of our knowledgeable executive protection consultants.